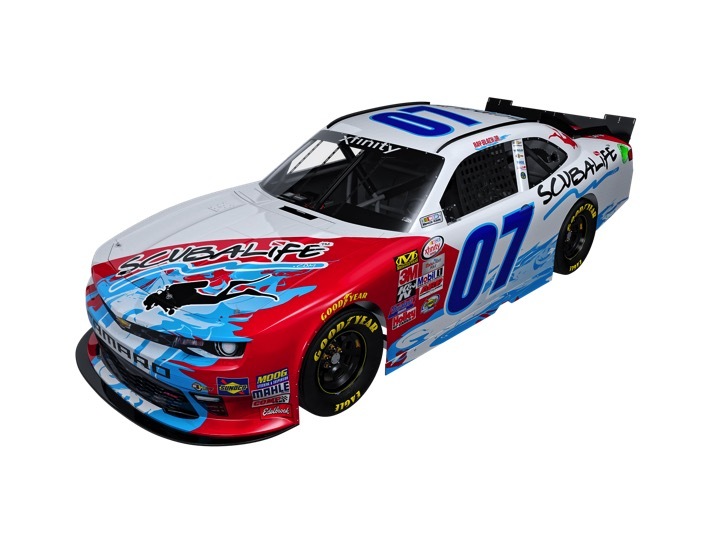 Ray Black Jr. Signs with SS Green Light Racing to Compete in the NASCAR XFINITY Series for 2016 - Ray Black Jr.
FLAGLER BEACH, Fla. (January 13, 2016) – Ray Black Jr. is thrilled to be taking the next step in his racing career, as the driver will compete in the full season of the 2016 NASCAR XFINITY Series (NXS). Black, who had a breakout year in 2015 while competing in the NASCAR Camping World Truck Series, is ready for the challenge of NASCAR’s second-tier series with the continued support of Bobby Dotter’s SS Green Light Racing and crew chief Jason Miller. Fans can follow along with Black’s 2016 season in the NXS following him and his sponsor, ScubaLife, on Facebook, Twitter and Instagram at @TeamScubaRacing and @RayBlackJr.